This is one of those terms that’s pretty self-explanatory; “naso” means the nose and “labial” refers to your mouth and lips. 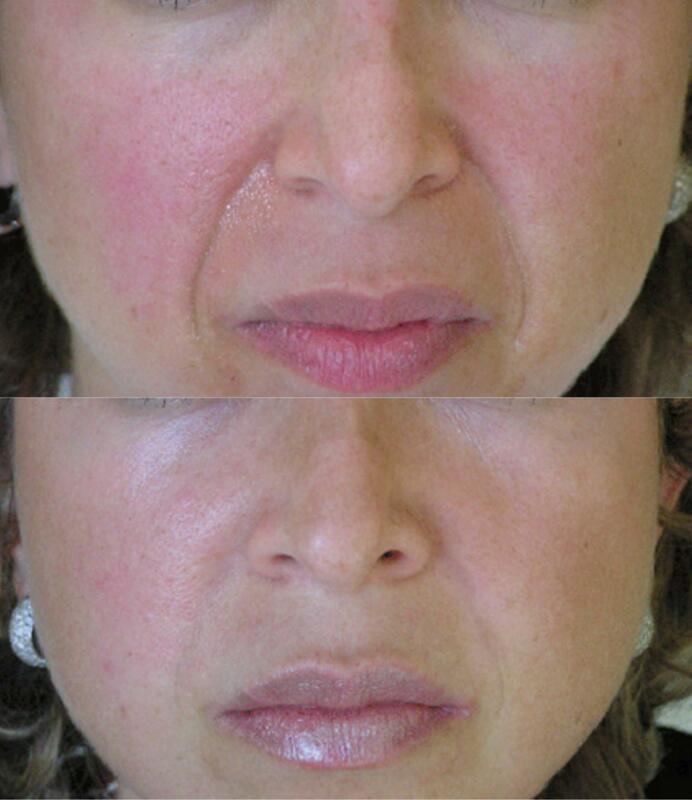 At Castleknock Cosmetic Clinic Dublin see lines start at the sides of the nose and extend to the sides of your lips. No matter what age you are, these lines will be shown during facial expressions. But starting as early as your twenties, they may start to turn permanent. If you smile in the mirror and study your face, you will notice the folds appear when your cheeks bunch up during smiling. However this should not alarm you – these lines are completely normal. If you need further proof of this, just look at a smiling child. In fact, if you smiled and didn’t have them, it would look abnormal and unnatural. Dermal filler injection is probably the easiest, most effective, and most natural way to get rid of deep wrinkles at the Dublin based cosmetic clinic. The great part is that downtime is very minimal – usually just a little swelling. On the otherhand they are not permanent. They can last from 4 to 12 months depending on dermal filler used. The most popular injections used are Restylane, Emervel and Teosyal. These are made using synthetic hyaluronic acid – which is a substance similar to collagen that is naturally found in your skin. Although there are a few other less-popular injections offered like Radiesse and Sculptra, I would advise against them because they use substances like calcium-based microspheres, which feel harder and are not naturally occurring in the body. There are many different surgical procedures which can help get rid of not only your nasolabial fold problem, but also other deep wrinkles. It used to be that cosmetic facelift surgery was a very costly and invasive procedure to go through. While this may be true for the full operation, there are many other newer versions available today which are involve minimal downtime and are much more affordable. 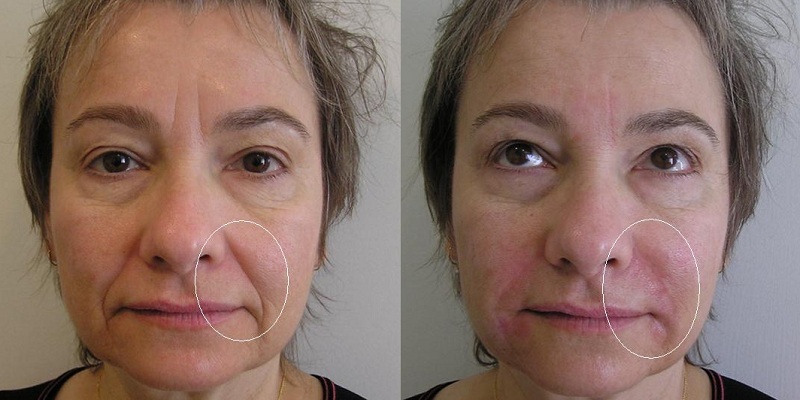 Just the last few years, surgeons have developed a procedure known as a thread facelift. It involves using contour threads to pull up sagging skin. 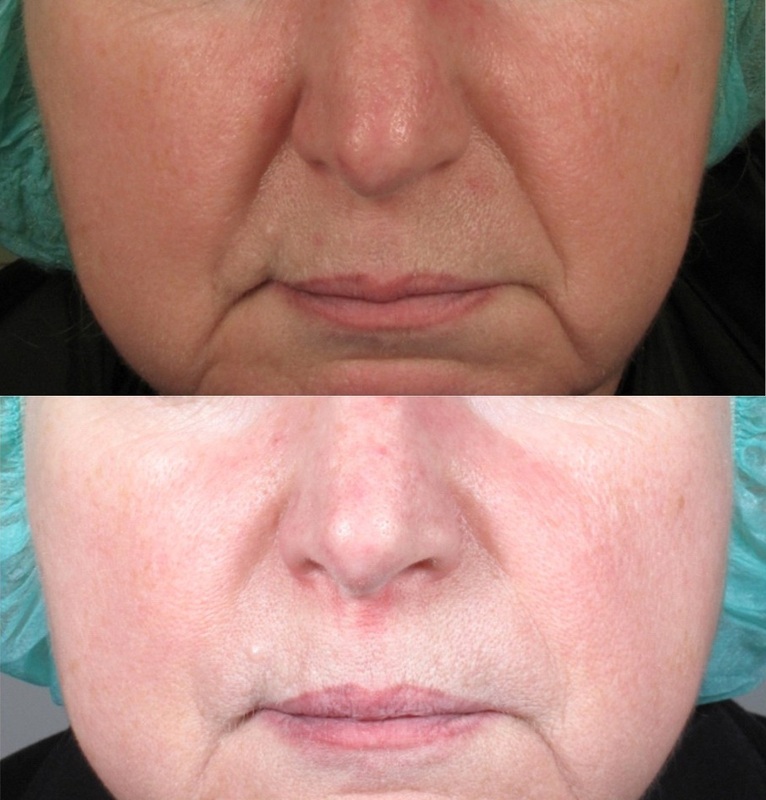 There is also a relatively new technique called the Mini-facelift which just like the name implies, involves a very short recovery period. With this technique, the doctor makes tiny incisions using endoscopic technology. From there skin and tissue can be lifted, and the tiny incisions in the hairline are closed using sutures. Because of the minimal downtime, natural results, and discreet scarring, it’s no wonder why so many celebrities are turning to endoscopic face lift surgery for their facial rejuvenation.